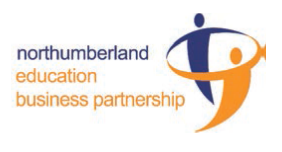 Due to popular demand Northumberland Education Business Partnership (EBP) is offering two further training opportunities to become a Business Ambassador. An EBP Ambassador is a volunteer representing their company who is interested in working with students on a wide range of activities to help them better understand the world of work and future employment opportunities. The training is for civil servants across departments who are interested in joining the Northumberland Business Ambassador Programme and using their three days a year volunteering. Volunteers who have taken part in EBP activities have found that it gives an opportunity to make a difference, enhance skills such as leadership and increases confidence. The training includes elements of presentation skills and can be counted as part of your learning and development days. To reserve a place, please contact Carole Richards. "You can't be perfect. I'm nowhere near perfect".